The breathtakingly beautiful hill resort of Patnitop in the Jammu region is surely one of the most romantic destinations there is. Sitting atop a hill on the Jammu - Srinagar National Highway at a height of 2024 m from the sea level, Patnitop is an ideal destination for spending a memorable holiday far from the madding crowd. About 112 km from Jammu city, Patnitop is one of those mountainous regions that are incredibly accessible and yet, astonishingly hideaway. This picturesque hideaway sits amidst lush pine, deodar and wooded forests, and opens out to the kind of panoramic views of the Chenab basin that would do great justice to your wide angle camera lens. 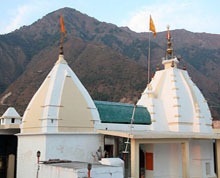 Sudh Mahadev Mandir, which houses the holy trishul (Trident) of Shiva, is a prime attraction of Patnitop. This beautiful hill station in the Udhampur district of Jammu and Kashmir provides several adventure sports, such as paragliding, hiking, skiing, trekking and mountaineering and is an ideal travel destination for those who have a fascination for adventure sports. The destination is now more popular among the youth as the adventure theme is coupled with the college camps, not to forget the wonderful emperature and proximity to Jammu. You can organise small treks to hidden exotic spots from Patnitop, for example Shivgarh, 11km away from Patnitop. Life proceeds at a polite pace at Patnitop. You can enjoy leisurely walks amidst the pine forests. 17 km from Patnitop is the cup-shaped meadow of Sanasar known for its lake. Sitting in the lap of thick bands of lofty conifers on the mountain slopes, the place is ideal for adventurous spirits who can indulge in paragliding. Located at an altitude of2079 metre, Sanasar is known for its natural beauty and tranquility. The destination is now more popular among the youth as the adventure theme is coupled with the college camps, not to forget the wonderful temperature and proximity to Jammu. You can organise small treks to hidden exotic spots from Patnitop, for example Shivgarh, 11km away from Patnitop. The Sundarani- Jungal Gali-Jasarkote-Sanasar route in Jangal Gali area offers you some exciting treks. 5 km Patnitop on the Sanasar Road, you will find Madhatop which is famous for skiing. Patnitop has a wide array of accommodation options to choose from to suit all budgets. 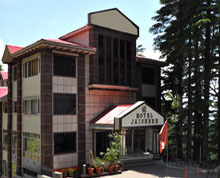 Hotel New Broadway , Hotel Dogra Residency, Hotel Kassal Inn, Kasal Morh, Maharaja Resort , Hotal Jai Skahan , Hotel Himalya View , Shankar Hotel , Hotel Forest View , Hotel Jai Shree , Hotel Samson , Vardhan Resorts , Shiva International Cottage , Hotel Subash Palace , Asia The Oasis Resort , Hotel Holiday Inn and Hotel Green Top are some of the hotels where you can stay on your travel to Patnitop. 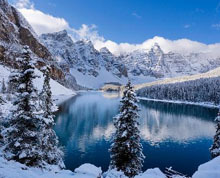 Air: The nearest airport to Patnitop is at Jammu connected by flights with different cities and places in India. Jammu Tawi is the nearest railhead which is connected by rail with different cities and places in the country. Good motorable roads connect Patnitop with different places and cites in Jammu and Kashmir. Major cities and towns near Patnitop connected with it by road are Jammu (112km) and Pahalgam (180km).